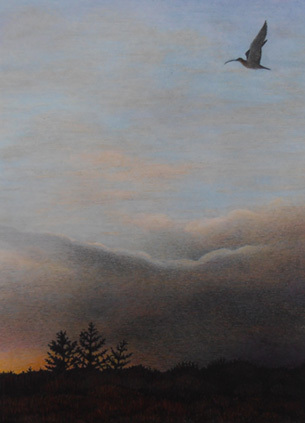 it is necessary to become part of the silence. 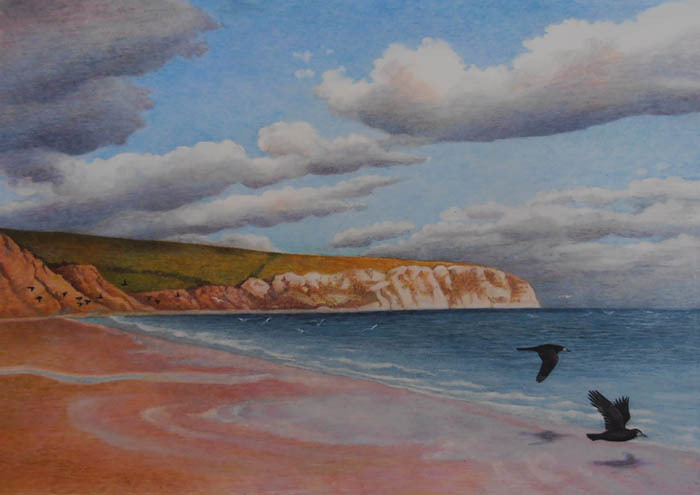 Having spent most of her life on the edges of Poole Harbour, the Dorset coastline has figured prominently in much of Deborah’s early work, most particularly in her sailing studies but also in some of her books, notably the trilogy about her animals who shared her life in Studland on the Isle of Purbeck. 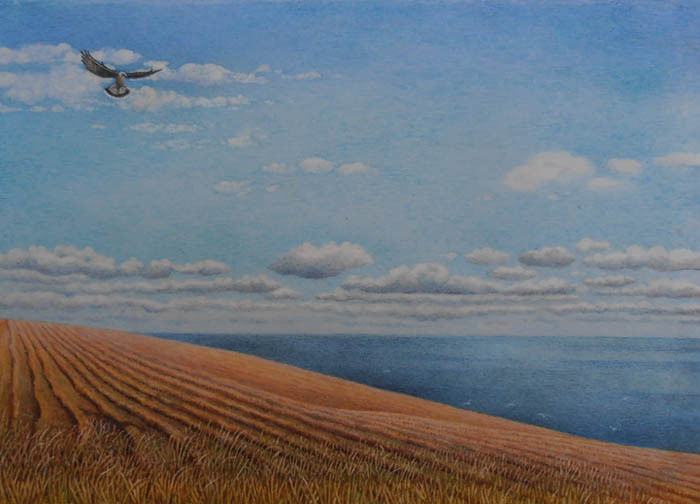 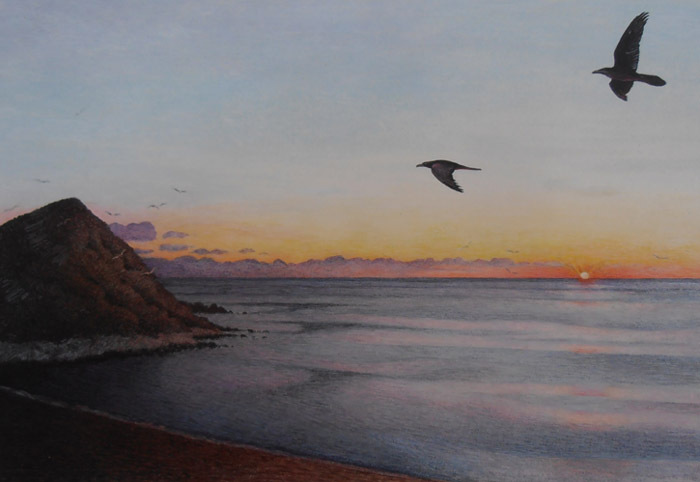 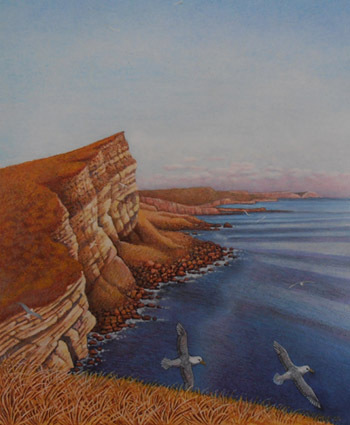 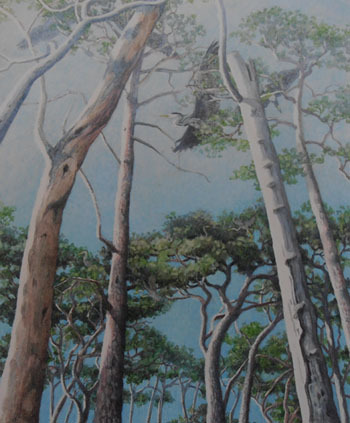 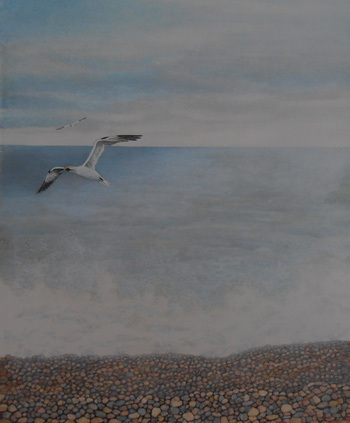 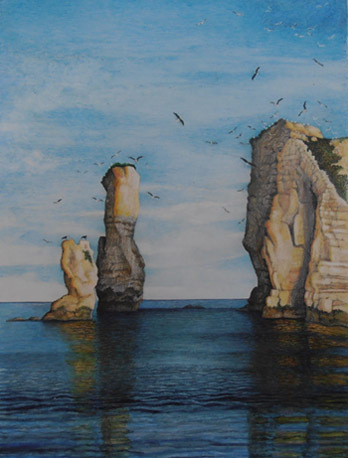 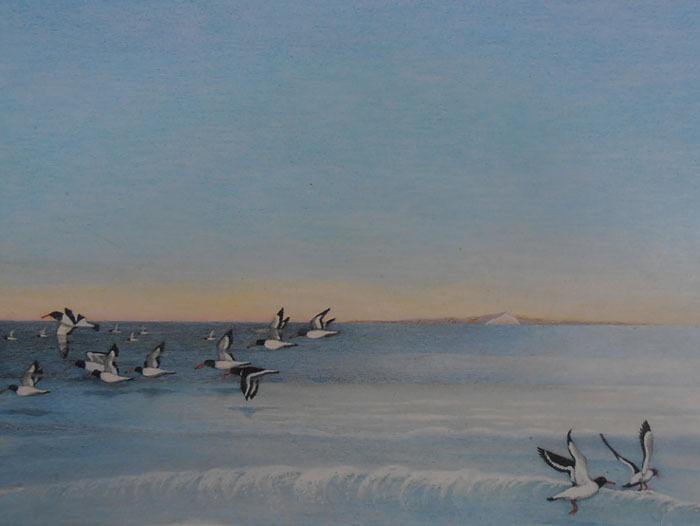 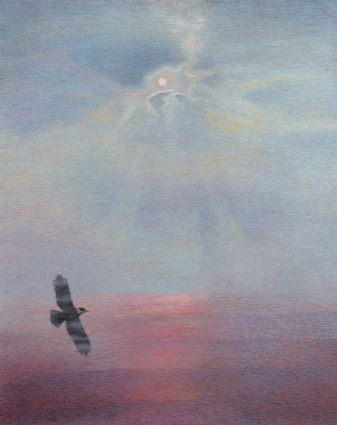 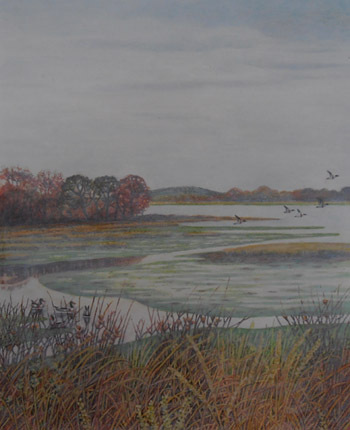 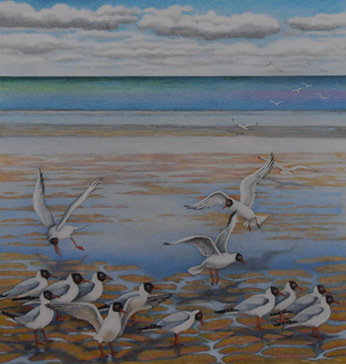 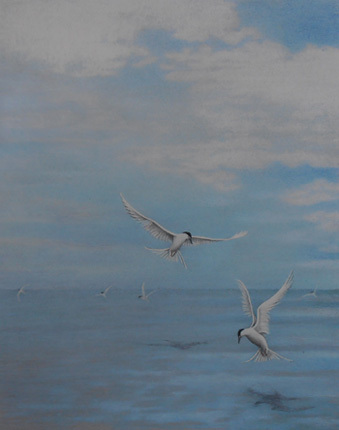 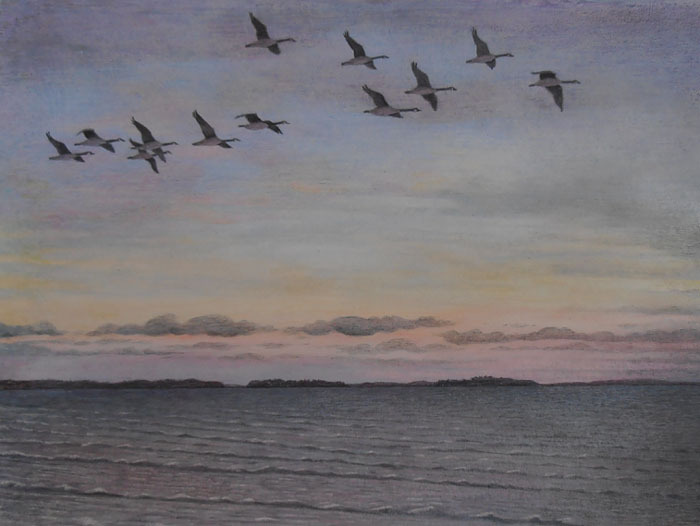 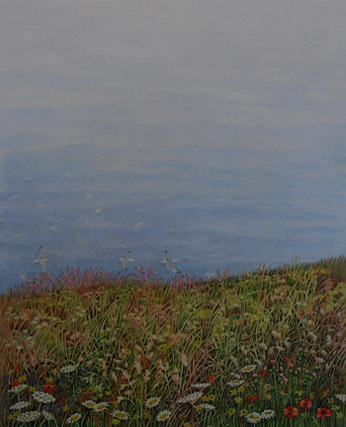 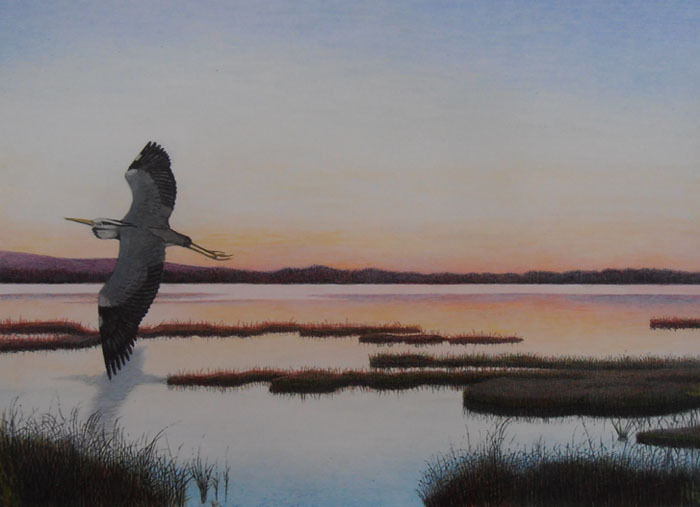 WATER’S EDGE, a collection of 21 watercolour paintings depicting sightings of birds along the Purbeck coastline, was completed in 1983 with an accompanying text describing each sighting in detail, giving accounts of times and places. 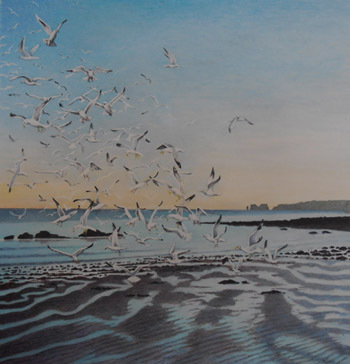 Although her publishers, Jonathan Cape considered WATER’S EDGE for several months, because of its specific localised appeal they could not see a way of taking the book to a wider market and rather than compromise the intention of the work, Deborah decided to shelve the project. .
She went on to do a book about the one bird she had been unable to include in the collection, the puffin. 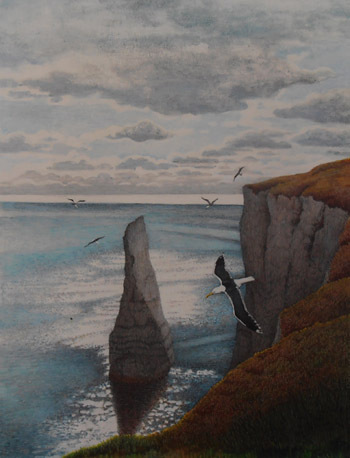 Her rare sightings of puffin flights to and from the cliffs by Dancing Ledge were for her, the most exciting of all. 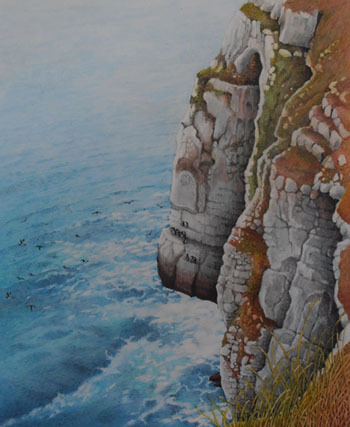 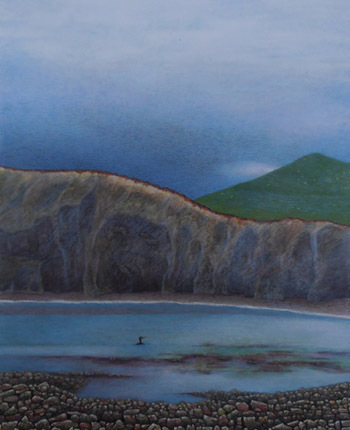 But unlike all the other birds she had featured, the tiny puffins were barely visible within the seascape and she could find no truthful or realistic way of portraying them. 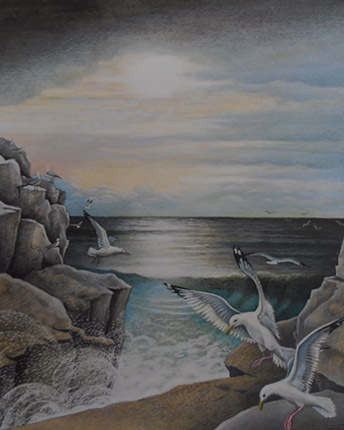 Her third book PUFFIN was published in 1984 by Jonathan Cape and Lothrop in the USA. 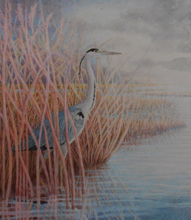 WATER’S EDGE has not been seen for nearly 30 years.